What the Company says- Let your eyes do the talking with Chambor's set of 3 ultra smooth eye shadow colors. 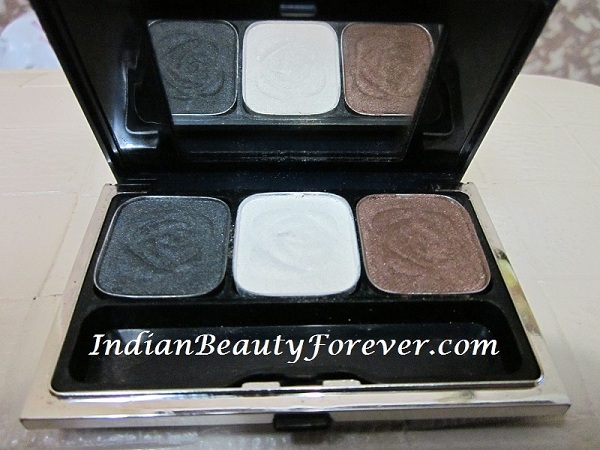 The 'Trio Eye Shadow' comes in 3 shades that beautifully play off each other to enhance your eyes. Each shade set has been created keeping in mind a specific color combination which lets you experiment with various makeup looks. 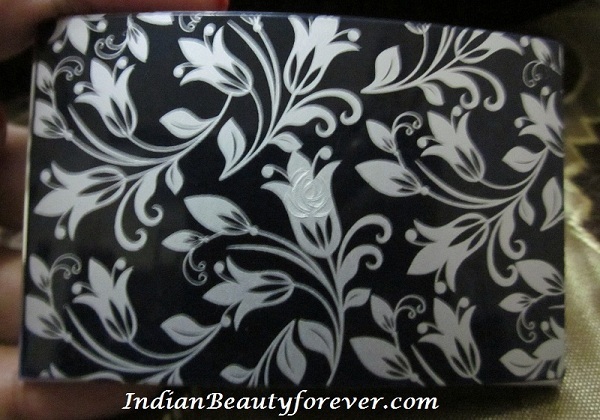 My Verdict- This palette comes in a sleek packaging with a curved top with some intricate designs. This design is not seen anymore in the new packaging. But it looks very pretty! very Vintage like!! 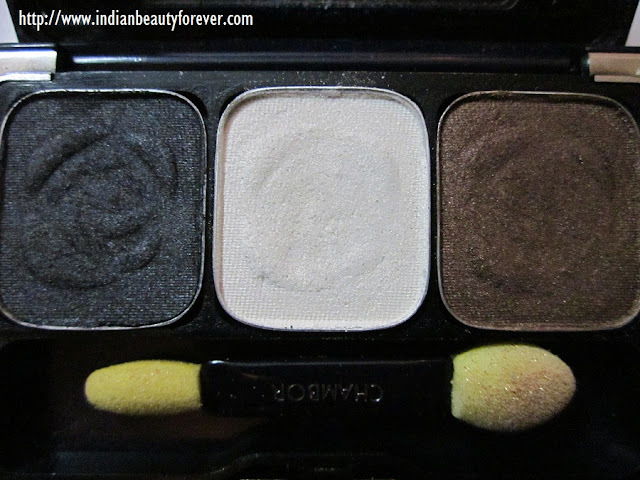 Inside this palette there are three colors a charcoal grey, a white with very fine gold shimmer that makes it a prefect highlighter shade especially for the night time makeup and a dark brown shade. Apart from that, it has a mirror and also a little cute looking sponge applicator. I have noticed that fall outs are not much with these shadows and staying power is decent. Price may be a little high for three colors but then they are so pigmented. that can justify the price. Sorry for such a small post!! Thank you Gogs. 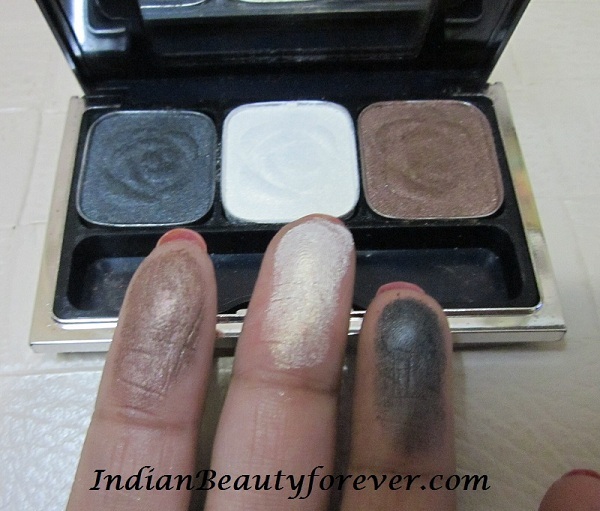 :) Thaye are really pigmented yaar!! I am fine how are you??? 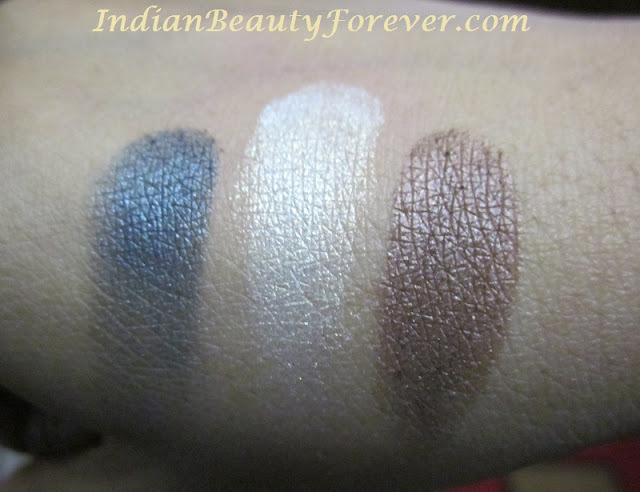 This is a gorgeous eyeshadow palette! now its a time for an EOTD..! and I know its gonna be beautiful.. I love these shades! I use them a lot.